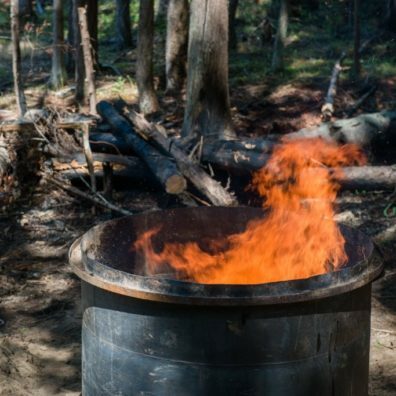 Charcoal, referred to as ‘biochar’ when applied in agricultural soils, has been shown to store carbon, retain nutrients and water, increase biological activity, and increase a plant’s ability to absorb nutrients. New research on biochar’s influence on soil carbon stabilization and increase in biological activity present an opportunity for charcoal to become a foundational element of regenerative agriculture, furthering other carbon-based farming practices. This FARMWALK will provide a summary of local and international research, as well as a series of on-farm and forestry production methods for converting woody debris into a resource that can increase crop resiliency in a changing climate. This FARMWALK will take place at Finnriver Farm and Cidery in Chimacum, WA with host Kai Hoffman-Krull, the Executive Director of Forage, a research non-profit dedicated to innovative practices in sustainable agriculture. Kai coordinated a 3 year research project on biochar with farms in San Juan County and the University of Washington and University of Montana. He also runs the non-profit’s market garden, selling produce to local restaurants and coops. Kai worked as a manager for the Yale Farm, and currently collaborates with students and faculty at the University of Montana on publishing academic and magazine articles on biochar, soil carbon, nutrient density, and crop resiliency in our age of climate change.